Believe it or not, it is Hong Kong! 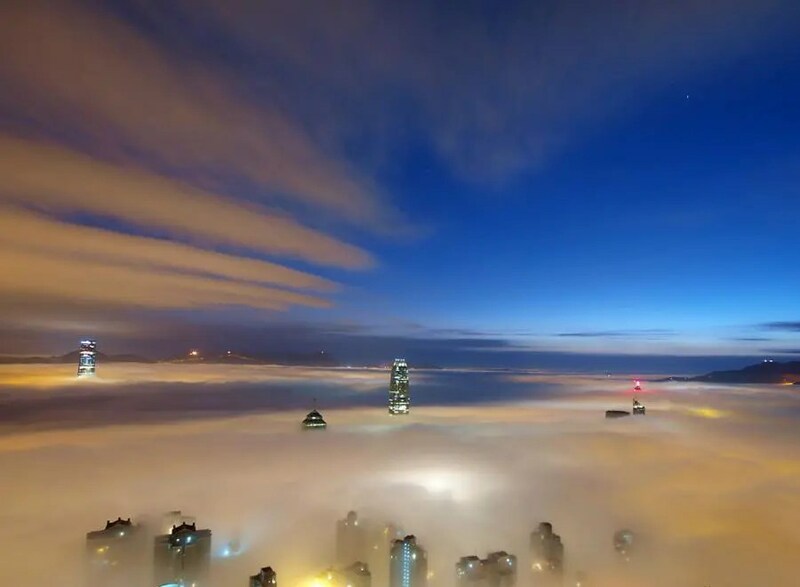 In Hong Kong, sea of clouds usually appear in mountains 800m above sea level in winter and spring. You do not have too many choices and these mountains are: Tai Mo Shan (934m), Lantau Peak (934m), Sunset Peak (869m). There is a driveway to the top of Tai Mo Shan on Maclehose Trail. 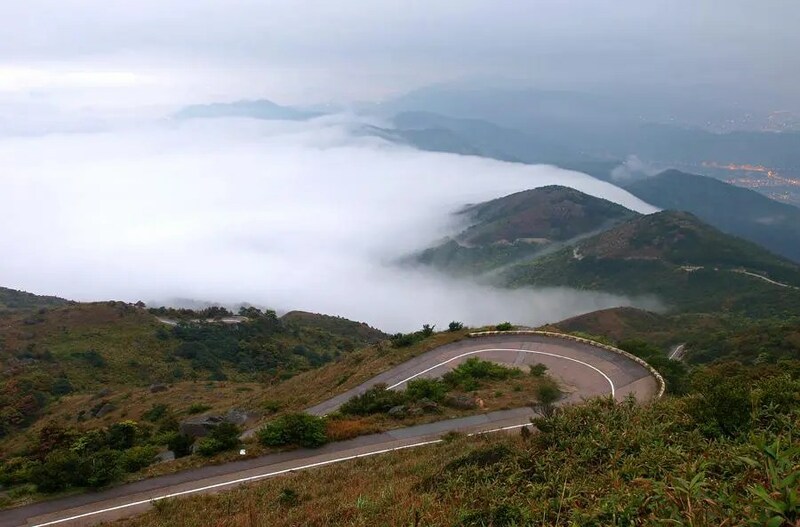 So people can get up early and drive there to see the stunning scene. Lantau Peak is not a good place to stay for long due to little space at the peak, strong wind and low temperature. Therefore, it may not be a good choice. 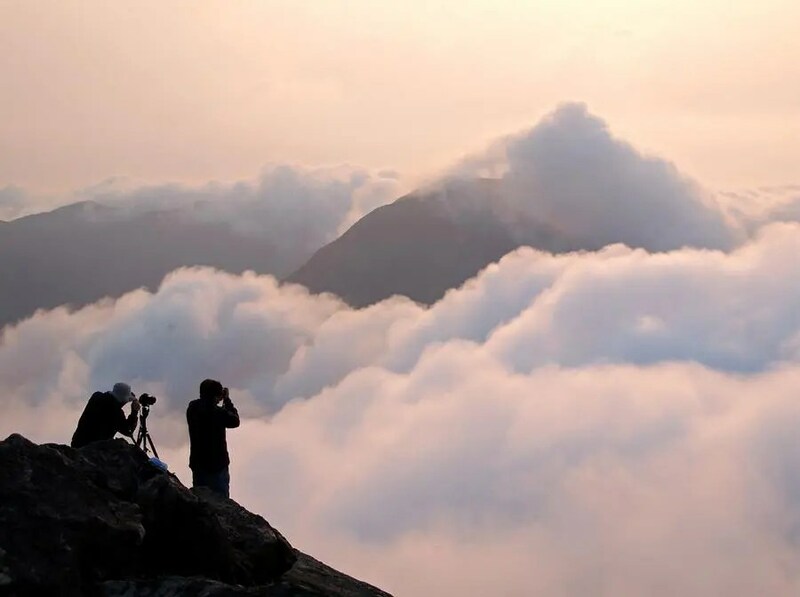 Sunset Peak on Lantau Trail is the best place to view sea of clouds. There are more than 20 stone houses (Lantau Mountain Camp) on top of Sunset Peak. Although people cannot get inside those houses, camping near them is a good way to stay away from wind and cold. But please keep in mind that you can only camp on the designated areas required by the government. So take your own risk before you go. Great article and photos. I’m planning to hike Lantau peak this coming August 04. Any idea how long does it take from Mui Wo to Pak Kung Au via bus? Hi Gari, it roughly takes 20-30 mins by bus from Mui Wo to Pak Kung Au.